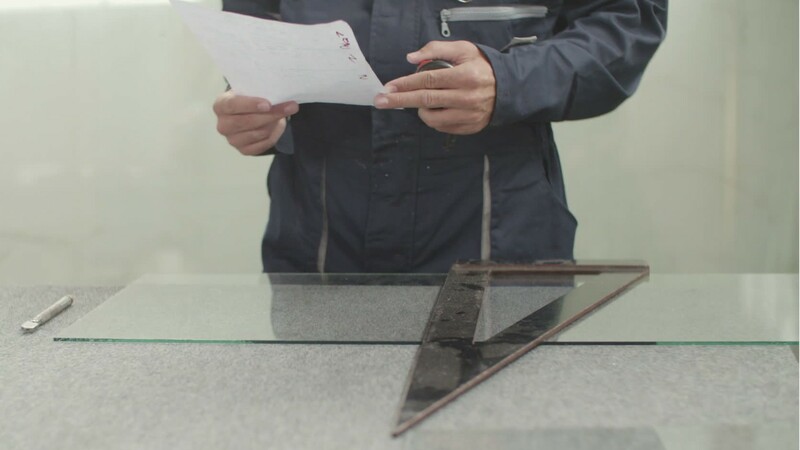 Installing a retail store display window… or securing the glass panels of a skyscraper... takes the craftsmanship of a glazier. Glaziers cut and install glass for a variety of structures, and ensure it is secured and weatherproof for all seasons. In homes, glaziers install or replace windows, mirrors and shower doors as well as fitting glass for tabletops and display cases. On commercial projects, glaziers install items such as decorative room dividers, security windows, or skylights, and replace storefront windows. On large-scale construction jobs, glass arrives on a project already cut and mounted into frames. Glaziers position and secure the windows in place, with the help of construction workers using cranes or hoists to guide the pieces into place. The work is physically demanding. Glaziers spend most of the day standing, bending, or reaching, and often must lift and maneuver heavy, cumbersome materials. They have a higher than average rate of injuries and illnesses— typically from falls and overexertion. Most glaziers work full time, and the majority work for building contractors. Some work for building material and supplies dealers. Glaziers typically train in a 4-year apprenticeship, after completing a high school education. Unions and contractor associations typically sponsor apprenticeship programs in this field. A few states require licensure. See more details at O*NET OnLine about glaziers. Glaziers by U.S. Department of Labor, Employment and Training Administration is licensed under a Creative Commons Attribution 4.0 International License.